Article originellement paru dans The American Interest. Par Célia Belin, visiting fellow au Center on the United States and Europe de Brookings et chercheur associé au Centre Thucydide, et Ted Reinert, senior research assistant au Center on the United States and Europe de Brookings et Penn Kemble fellow au National Endowment for Democracy. Europe’s political landscape is undergoing profound and drastic changes. Recent votes in Italy and Germany, although very different in scope and format, are the latest proof of realignment. In Germany, following the collapse of Chancellor Angela Merkel’s negotiations to form a “Jamaica coalition” with smaller parties, the Social Democratic Party (SPD) voted to join the government once more, over the protests of its youth wing. A grand coalition of fundamentally centrist parties now governs in Berlin for the third time in four terms, but with a much-diminished parliamentary majority. Meanwhile in Italy, the idiosyncratic, Euroskeptic, and populist Five Star Movement (M5S) is now the biggest party in parliament, while the anti-immigrant League (formerly the Northern League) is the largest party in the “center-right” bloc. Two related phenomena are happening at the same time: First, the old Left-Right divide is fading away, replaced by a chasm between centrifugal nationalist-populists (be they Left, Right, or, like M5S, neither in particular) and a pro-EU center. Second, the erosion is worse on the Left. These evolutions are not just native to Italy and Germany, as recent elections proved; they are unfolding across Europe. Indeed, they are actually une histoire française. The 2017 French electoral cycle may be the textbook example of this overhaul of European politics. After knocking out the established Left and Right parties, the opposing forces of Marine Le Pen and Emmanuel Macron clashed in a run-off between the extreme Right and the “extreme center”—with the extreme Left largely standing on the sidelines. The defining differences between the two second-round candidates emerged from their attitudes toward the European Union and all it entails. It was a debate between open and closed borders, free movement of people and goods and protectionism, power-sharing between member states and the EU and a return to national sovereignty. With Macron’s rise to power, French politics have gone through a process of “Macronification,” a unification of centrist constituencies around a pro-European agenda, leaving little air for anything but radical far-Left and far-Right parties adopting an anti-EU line. The mainstream right-wing Les Républicains, under new leader Laurent Wauquiez, find themselves in an uncomfortable position, as they are historically pro-European but are looking for a way to survive in opposition to Macron. Short of adopting the far-Right detestation of the European Union, they are now toying with vague “Eurolucid” ideas, which consist of defending French sovereignty at the EU level without advocating for a “Frexit” or other anti-EU measures. While both of France’s mainstream parties were badly wounded by “Macronification,” the Socialist Party (PS) was obliterated. The last five years have been devastating for the French Left. From his first days in the Elysée, François Hollande’s Socialist ambitions were curtailed by the Eurozone’s economic and political constraints, forcing him to make tough choices to “save” the euro. The French government’s commitment to deficit reduction forced them to rein in public spending, much to the dissatisfaction of the PS base. Hollande and his lieutenants adopted a euphemistic vocabulary: Economic reforms were adopted under a “responsibility pact,” while they used the phrase “the governing Left” to describe themselves, drawing a contrast with the ideological but ultimately irresponsible Left of Jean-Luc Mélenchon’s movement and the rebellious PS faction les Frondeurs. Ultimately, the unpopular Hollande decided against a re-election campaign, and the Frondeur PS candidate, Benoît Hamon, was only able to attract 6.36 percent of the vote, an incredible low for the incumbent President’s party. In contrast to Hollande, President Macron has been unapologetic in giving primacy to France’s European commitments. With such impeccable pro-European credentials, he can push ambitious reforms to EU policy that benefit France. 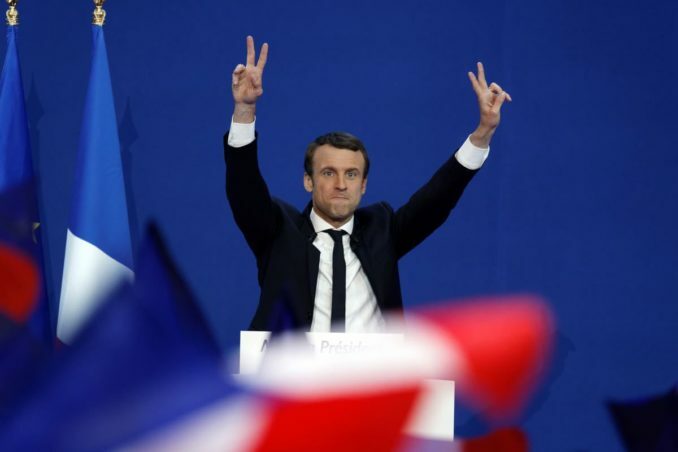 His first policy victory was a resolution of the toxic issue of “posted workers,” whereas the previous Socialist government had failed to defend French labor from this source of unfair intra-European competition. He is now governing as a reformist center-Right leader, the position seemingly best adapted to today’s European Union. 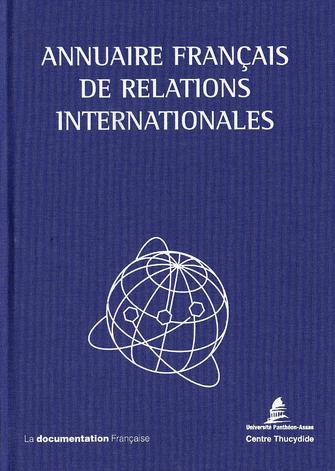 Over the decades, the European Union’s leaps forward have been the results of inter-governmental compromise and technocratic decision-making, which often disregarded popular calls for a different integration model (such as the 2005 French “no” to the European Constitution), and molded a union that resembles more the North European market-liberal model than the French/South European statist model. Germany, the United Kingdom, and the Nordic countries—whose credibility has been reinforced by their successful domestic economies—have popularized fiscal authority, free trade, deregulation, and free movement at the EU level, creating a Europe in which center-Right politicians feel at home. Membership in the common euro currency, which implies playing by the austerity rules imposed by German fiscal hawks, sharply limits economic policy options for leftwing parties, particularly in countries saddled with high levels of sovereign debt (as the 2015 U-turn by Greece’s Syriza-led government exemplifies). And while the center Left has been bleeding voters to the far Right for decades over immigration, the inadequate EU response to the refugee crisis of 2015 has only accelerated the trend. The European Left finds itself in the paradoxical situation of defending the symbolic value of the European Union while deploring its current policies. Paying a high price for their European commitment, leftwing parties either accede to power as responsible stakeholders stripped of their ideology and identity, or watch from outside government as the Right chips away at what remains of the legacy of 20th-century social democracy. In agreeing to yet another Merkel-led coalition government, the German Social Democrats did the responsible thing, though maybe not the politically smart thing. The SPD leadership rejected this route on election night back in September, after its worst postwar result (20.8 percent of the vote), seeing a path to a more defined identity and renewed success via a spell in opposition. Yet their commitment to Europe—and the attraction of power—has sucked them back into another “responsible” centrist coalition devoted to “a new departure for Europe.” In so doing, the SPD has granted the far-Right Alternative for Germany (AfD) the opportunity to lead the opposition. In Italy, five years of Democratic Party-led (PD) government under three Prime Ministers, Enrico Letta, Matteo Renzi, and Paolo Gentiloni—and the “technocratic” (interim) government led by Mario Monti before that—failed to solve the country’s manifold woes, from economic stagnation to the influx of migrants risking their lives to cross the Mediterranean. While most of them were considered great European “team players”—as Macron’s shout-out to Gentiloni exemplifies—it does not change the fact that the European Union did not deliver for them on the migration crisis or the ongoing banking crisis. Italian voters noticed that pro-European leaders failed them and sought refuge in a protest vote. Today, a rumored possible coalition between the M5S and the PD would force both parties to choose between their mutual progressive priorities (such as M5S’s popular universal basic income proposal) and their antithetical views on Europe. In the age of Brexit, support for the European Union is no longer an obvious choice for the UK Labour party. Jeremy Corbyn has led the party away from Tony Blair’s Third Way to an assertive hard-Left stance. But amid the May government’s bumbling approach toward Brexit, his Euroskeptic acceptance of withdrawal from the European Union is balanced by his promotion of a “soft Brexit” with as little change as possible from the pre-referendum situation. It is an effort to accommodate the deep contradictions within his camp, which passes muster with voters mainly thanks to his opponents’ incompetence. Across Western Europe, politics are turning French: The old mainstream political forces on the Left and Right are coalescing around a pro-European agenda, imposed by the political reality of today’s Brussels (and Frankfurt), while the only forceful opposition comes from those who reject the EU. This “Macronification” comes with a higher price for the Left. The fine line that social democrats walked for years—being resolutely pro-European while trying to develop a social counterweight to Brussels’ free-market orientation, which the French Socialists called L’Europe sociale, or social Europe—is becoming increasingly thinner, at the risk of disappearance. Weakened, stuck in the position of junior partners or licking their wounds in opposition, European social democrats need to invent new policies to keep unhappy voters from the arms of the populists, and a new vision for Europe to take their continent back.